vmotion is Switzerland’s largest charging network with 1208 charging stations. You also have access to thousands of charging stations abroad. 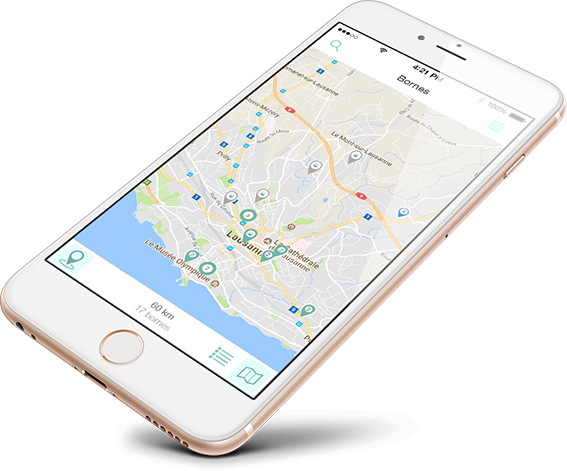 Thanks to the roaming, vmotion members can recharge their vehicles on other charging networks in Switzerland and abroad. Join vmotion and become a member. Whether vmotion is used frequently or occasionally, it fits your needs by offering a free pay-as-you-go option, as well as an annual subscription that gives you access to preferential charging rates. If you charge your car regularly, become a member and enjoy access to the charging network at preferential rates. In addition to access via the app, you will also receive your vmotion access card free of charge.